In the last few weeks, I’ve held conversations and learned of tearooms that are closing or struggling. One closed after eight months. Another’s experiencing a massive drop in numbers served since its opening five years ago. My Google tea news search leads me to articles like this one: Tea shop packs its bags after 3 years. Could the recent surge of tearooms opening in America be a passing fad? Will the tearoom survive the economic downturn? Can the tearoom owner compete in a society of living room-themed Starbucks equipped with wi-fi? No, tea rooms in America are not a passing fad. 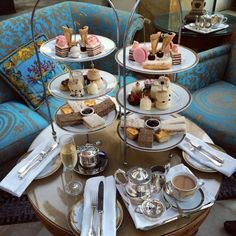 Tea rooms have taken many forms in America and Europe since the invention of afternoon tea over one hundred and fifty years ago. The history of the tearoom’s development has been chronicled in Tea at the Blue Lantern Inn: A Social History of the Tea Room Craze in America. Pioneered mainly by women entrepreneurs, tea rooms began as an addition to the roadside motels that grew with the motorcar in the early 1900s. Fifty years later, tea rooms came into fashion with the department store, providing women of the upper-middle class a place to gather and socialize during the day. The American tea room at the turn of the 21st-century will be remembered for its draw of the popular Red Hat groups that sprang up practically overnight. Tea rooms may change in form or focus, but providing places for refreshment and socializing are as popular as ever. Maybe your local tea room will survive the recent economic downturn. It’s a reality many businesses and consumers are currently facing. Most traditional tea rooms serve full teas that cost around 20 dollars. My favorite local tea room charges $21.95 for a full tea. When tax and gratuity are added to the cost, tea for two can cost as much as a very nice dinner for two. The tea rooms that succeed will have to stand out from the rest. 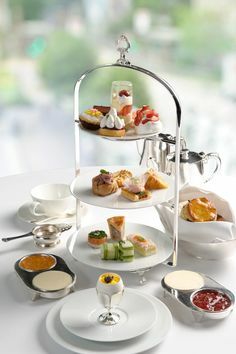 Many factors play a part in a tea room’s success including location, menu, pricing, and innovation. But I believe the bottom line for the success of any tea room must include a commitment to excellence. How is the customer service? Is the food freshly purchased and made with unique presentation and flavors? Are the servers trained and well-groomed? How does the tea room move beyond traditional service to engage its customers through education, classes, and events? Yes, the tea room that commits to this level of excellence CAN compete with a Starbucks saturated society. Tea drinking for health and enjoyment is a trend that shows no signs of slowing down. 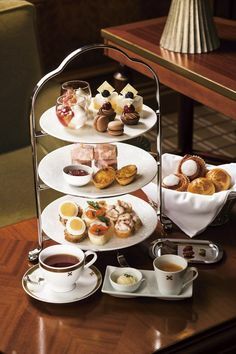 The tea room that provides consumers tea education, a wide range of price levels for a wider range of consumers, and high quality as described above will succeed. People still associate a tea room with doilies and rosebud tea sets. I think that if a shop provides a variety of food, music, ambiance – something beyond the stereotype – it will draw more people. 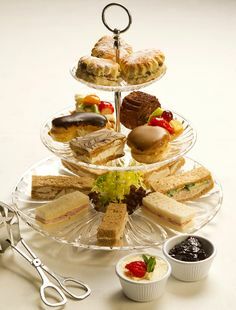 I’m one of the few who have never been to a tea room. There is one close to my house, and I plan on visiting it (hopefully with my mom or another lady in my life!). If we have a little girl, I definitely plan on taking her there, and having my hubby take her as well, provided they are still around. It would be terrible for a full-service tea room to die, especially now with mass-marketed self-serve places (like Starbucks) taking over. Unfortunately, the ambience of full-service ANYTHING is being degraded to nothing in our culture. 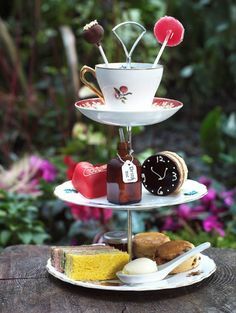 We live lives that are too fast for such a thing anymore, which is why I’m a firm believer in “old school” or “old fashioned” things, like doing it yourself or hats and gloves to a ladies’ tea. It makes you think and slow down, and we all need more of that. I love, Love, LOVE the book Tea at the Blue Lantern Inn. Thank you for reminding me to pull it out again! And I love your blog! Thank you for your thoughtful posts. I loathe Starbucks and its like shops. Formula driven business like this miss the point of the original purpose.